This circular pendant, from the designers at Posh Mommy, is for mommies of all ages! 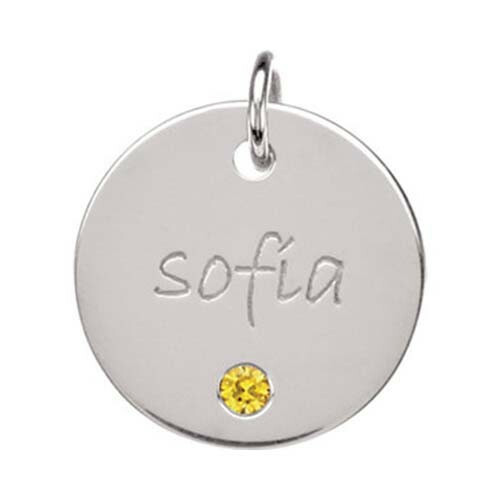 Crafted in sterling silver, it features a synthetic citrine and room for up to eight characters of personalization. It's a great gift to commemorate November births. The round pendant is a stunning symbol of the family unit. You can purchase a chain separately. JR Dunn is an Authorized Jeweler. Unlike "grey-market" items, all of our jewelry is 100% Authentic, brand new and includes the full manufacturer's warranty.